So I have to write about this. Ireland play New Zealand at rugby. I have always watched rugby. As soon as we had a television some time in the 60s, my Father would sit us down in front of it to watch rugby internationals. How well I remember the tragedy of Andy Hancock’s try in 1965. Ireland are in a bad way, just as after Aughrim, they have been destroyed by Australia and now, as the front of battle lowers they face New Zealand. New Zealand have been more than dominant all season and have won all 13 of their games this year. Ireland have no chance. I am sick and jet lagged and lie sweating in my bed. I awake at 1: 00 am and groan. I fire up my iPad and to my astonishment I find that Ireland are leading New Zealand by 22-7! Although the hungry Saxon wolves were howling for your blood. As through flood and tide we bore them. I leap from bed and watch the rest of the game. The battle is immense. What is left of my warrior blood boils as the Irish smash into the All Blacks. 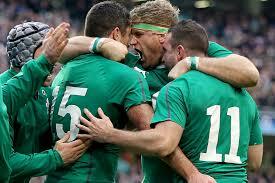 Ireland have never beaten New Zealand but this time it is it. They are immense, warriors all. 15 seconds from the end of the game Ireland, in the lead, are attacking the All Black line. New Zealand win a ball and attack with ferocity and to the amazement of all, they score. Holy Jesus! Ah, but Seán Ó Duibhir an Ghleanna, you were worsted in the game. I sit stunned at 3:00 am in Okinawa. I have never seen a rugby match like it. Each man who played was a hero who will tell their grandchildren that they fought in one of the great battles. I envy them. For, Seán Ó Duibhir an Ghleanna, you were worsted in the game. 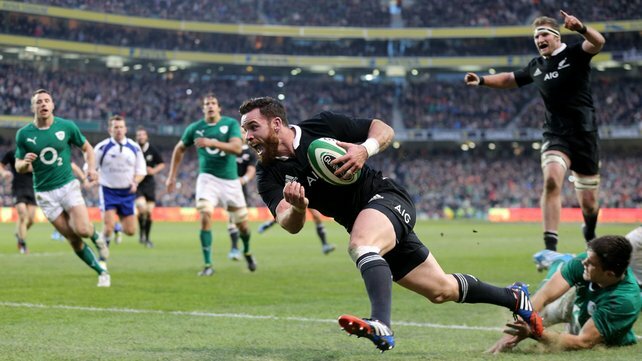 This entry was posted in Uncategorized and tagged All Blacks, Ireland, Rugby. Bookmark the permalink. Jackson, Sharp, Hancock, pride of England, all in black and white, so long ago. Those were the days. BTW, what were the Irish thinking of, charging the conversion attempt early and then refusing to get back for the re-take ? Madness.